Prime location to enjoy the beach only steps away from the resort! Week 43! Buyer may receive a title fee credit, inquire for details! Annual week 8 at this luxurious beach resort! Buyer may receive a title fee credit, inquire for details! Close to a wide variety of activities! Annual week 19 usage! Buyer may receive a title fee credit, inquire for details! Stunning Virginia Beach resort! Relax on the beach each year in week 19! Buyer may receive a title fee credit, inquire for details! Very Motivated!! Timeshare Paid for! Great area right on the beach! Week 21 every year! Memorial Weekend! Buyer may receive a title fee credit, inquire now! Enjoy a beautiful ocean view suite! Annual week 33 usage! Buyer may receive a title fee credit, inquire for details! Enjoy annual vacations in this beautiful penthouse suite with ocean views! Buyer may receive a title fee credit, inquire for details! Great location in the heart of the famous boardwalk! Week 39! Buyer may receive a title fee credit, inquire for details! Ocean view unit! Week 2 every year at this outstanding Virginia Beach resort! Buyer may receive a title fee credit, inquire for details! 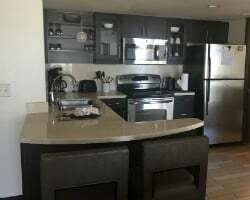 Great location in the heart of the famous boardwalk! Week 12! Buyer may receive a title fee credit, inquire for details! Will consider all reasonable offers. Vacation only steps away from the beach! Buyer may receive a title fee credit, inquire for details! Includes access to Ocean Beach Club! Annual May week 20! Ocean view unit! Owner has prepaid closing credit; please inquire for details! Ocean view suite! Yearly in October week 42 & 10 Bonus weeks! Buyer may receive a title fee credit; inquire for details! 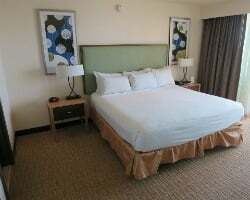 March week at this outstanding Virginia Beach resort! Buyer may receive a title fee credit, inquire for details! Beautiful ocean view suite! Vacation just steps away from the beach! Buyer May Receive A Title Fee Credit, Inquire For Details! Just Reduced! All Offers Considered! Resort right on Atlantic Ave on the beach! Buyer May Receive A Title Fee Credit, Inquire For Details! Spend week 24 on Virginia Beach! Suite has a private balcony! Buyer May Receive A Title Fee Credit, Inquire For Details! 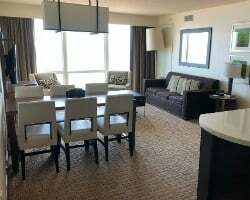 Spend week 21 at this oceanfront resort! Buyer May Receive A Title Fee Credit, Inquire For Details! Enjoy this beautiful penthouse suite with an oceanfront view! Buyer May Receive A Title Fee Credit, Inquire For Details! Resort is situated right on the beach! Enjoy spring season week 16 every year with an ocean view! Buyer May Receive Title Credit, Inquire Today! Oceanfront resort right on the boardwalk! Week 19 Coming Up Soon! Buyer May Receive Title Fee Credit! 2 weeks every year for the first 10 yrs and then usage will be 1 week annually! Heron Unit! Buyer may receive a title fee credit, inquire for details! Come to Virginia beach week 8 every year! Walking distance to many activities! Buyer May Receive A Title Fee Credit, Inquire For Details! Beautiful resort right on the beach! Buyer May Receive A Title Fee Credit, Inquire For Details!